During the Christmas period, you may travel more than normal, visiting friends or family etc. 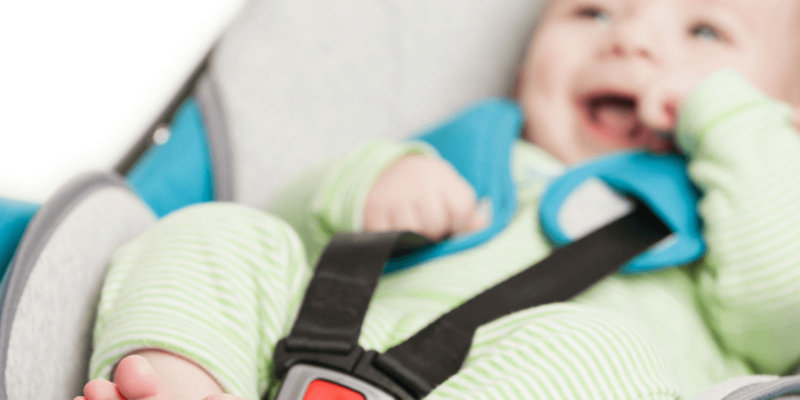 It’s important to keep our safer sleep advice on your car seat in mind. Many parents worry about whether it’s safe for their little one to fall asleep in their car seat, especially during very long journeys. Currently, it’s OK for your baby to fall asleep in a car seat, but they should be taken out as soon as you get home or to your destination, and placed onto a firm, flat surface to sleep. Car seats should only be used for transportation. Ideally, a second adult should travel in the back of the car with your baby and a mirror should be used so the driver can keep an eye on your baby at all times. If your baby changes its position and slumps forward, then you should immediately stop and take them out of the car seat and reposition them before continuing on your journey. Fitted car seats should always be used to transport your baby. Please make sure that you follow manufacturer guidelines and that an adult can see your baby at all times. For example, if you’re travelling with a relative, friend or partner, one of you can sit in the back alongside your baby to check on them throughout the journey. Or if travelling alone use a mirror to keep an eye on your baby. How often should I stop? If your trip involves driving for long periods of time, you should stop for regular breaks. Not only will this allow you to stretch your own legs but you can check on your baby, take them out of the car seat and let them stretch and move around. Some car seat manufacturers recommend you dont’ have your baby in the car seat for longer than 2 hours. If you have any questions or queries about safer sleep advice and travelling, please feel free to get in touch at info@littlelullaby.org.uk.